Welcome to the new Hereford Women of Missouri! We have been reformed and re-energized into one brand new group to help support our breed! Originally known as the Hereford Women and the Missouri Poll-ettes. Our mission is to promote the Hereford breed. We are made up of women that have the passion and desire to see our breed become one of the most successful breeds that exist by providing guidance and support to our Missouri Hereford breeders and the Missouri Hereford juniors. We hold our annual business meeting at the Missouri State Fair, also have casual meetings at the MJCA show in June and the Missouri Hereford Annual Banquet held in December. We also provide appetizers, drinks and decorations for the annual banquet. The Hereford Women of Missouri also sponsor the Missouri Hereford Queen. 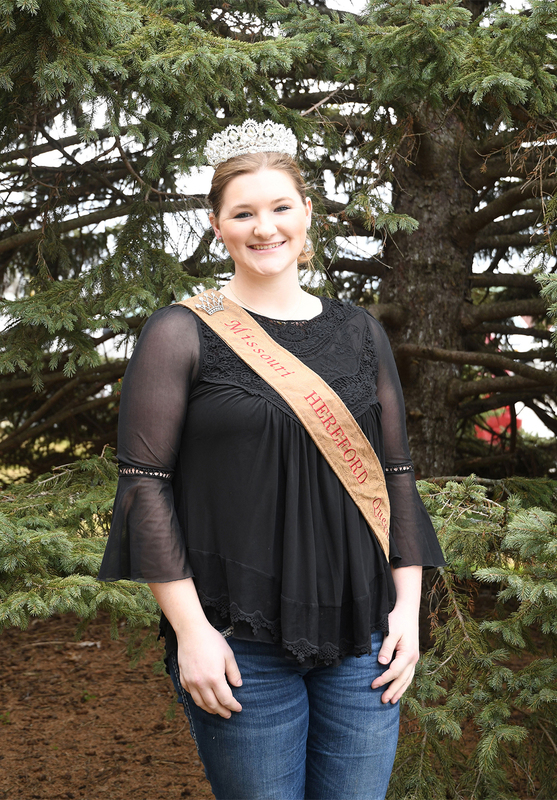 Each year at the banquet, the queen is selected and crowned where she will represent Missouri Hereford Breeders at local, state and national events. The Hereford Women of Missouri awards a $250 scholarship each year to a deserving high school and/or college student. Applications for the scholarship can be found on the website. This scholarship is funded by our fundraisers that we have at numerous times of the year. Our fundraisers include silent auctions at the annual banquet, 50/50 raffles at the state fair and collecting cans for the juniors and queen. All your support that has been given is greatly appreciated. Keep up to date with all the activities on our Facebook page! Haleigh Ferguson is the daughter of Marty and Kim Ferguson from Smithton, Missouri. She is involved with many activities within school: National Honor Society(treasurer), FFA(treasurer), FBLA, Varsity Basketball, Band, SMASH, Speech, Drama, and Softball. She has shown Hereford cattle since she was 10 years old and this past summer attended her first Hereford Junior Nationals. After high school, she plans to attend Central Methodist University in Fayette, Missouri and major in nursing. While nursing isn’t directly related to the agriculture field, she still will continue to raise Hereford cattle, even after college graduation. Scholarship forms must be postmarked and submitted by October 15, 2019! 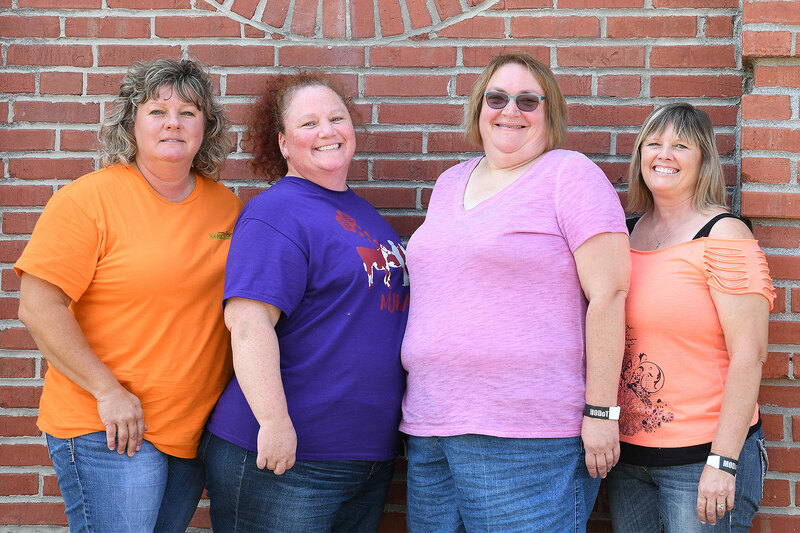 The Hereford Women are putting together a cookbook to sell as a fundraiser. The cookbook will be available for sale soon! ©Missouri Hereford Association 2019. Website design by Rural Route Creations.